AutoCheck vehicle history reports are the only reports that summarize vehicle history records in one easy-to-understand score. The patented AutoCheck Score® exclusive tool allows you to compare multiple vehicles to help decide which is best. 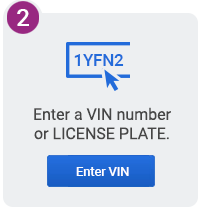 Enter a VIN or plate to see the AutoCheck vehicle history report FREE score. See a score range that shows you how a vehicle compares with others in its class. Predict the likelihood the car will be on the road in five years. 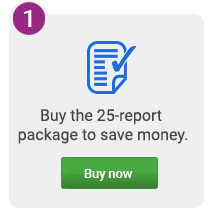 Buy a 25-report package to get access to our vehicle history dashboard. 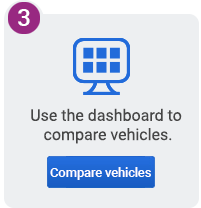 Easily visualize vehicles side by side with AutoCheck Score. Explore all reported event records contained in the full vehicle history report. Ownership records, problem checks and more are neatly organized to help you decide. AutoCheck, a part of Experian, is trusted by auto industry professionals for the quality of our data when they buy and sell cars. We acquire data from multiple sources — many exclusive to AutoCheck — to give you the information you need to make the best decision when buying a car.